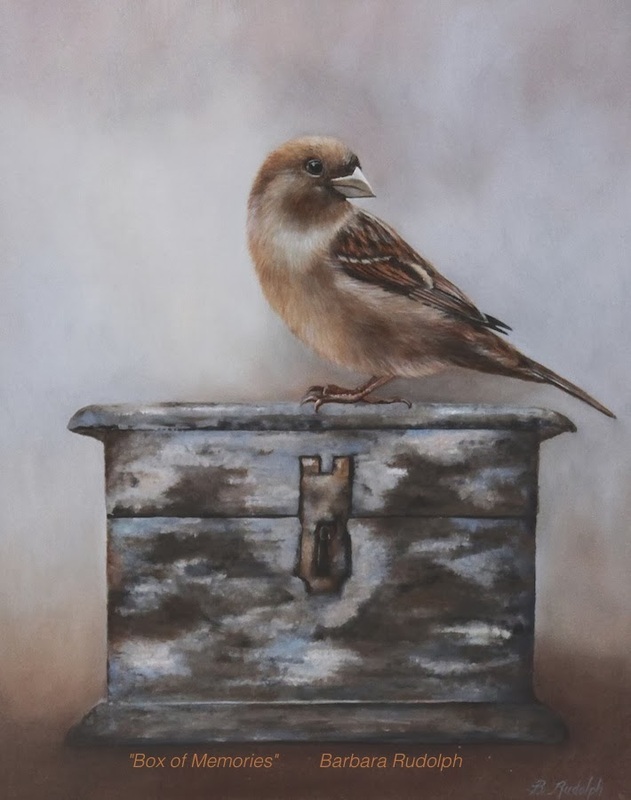 This brand new oil painting has a little "sparrow" sitting on top of a small antique box. It measures 10 x 8". The colors are soft with a little bit of pale blue. The photo looks a little bit darker than the actual color. I sold it today at the "Celebration of Fine Art" show in Scottsdale. It's a wonderful show that brings together 100 artists from all over the country. New York Yankees Baseball Painting: "The Fan"
Violin oil painting with Hummingbird - "Maestro"